Having kids almost 8 years apart is like starting over;completely. There are so many new fun toys and baby items out there, but there are also the old classics we know and love. I thought it would be fun to share Evan's favorites (or what I think are his favorites) from Months 5-8. 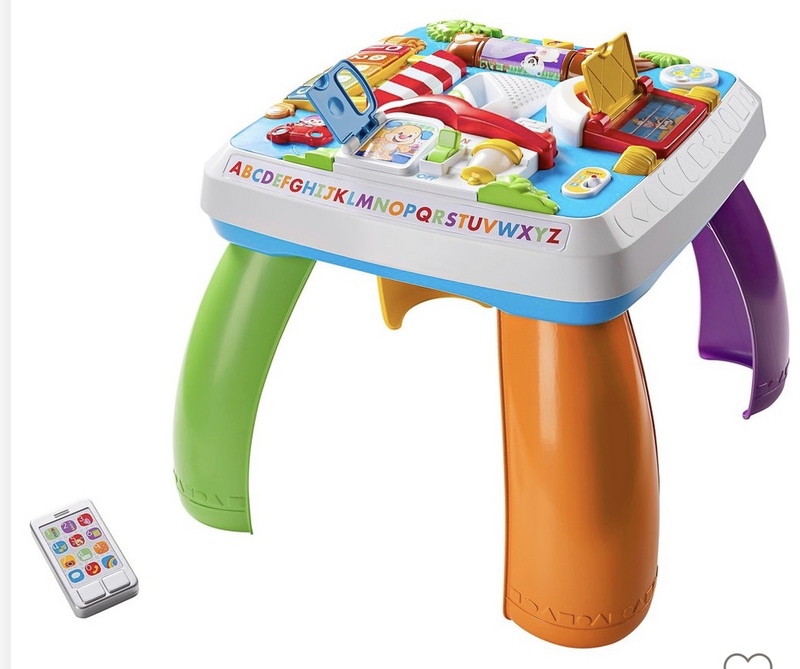 Let's start with the "old" but new version of V-Techs Stroll & Discover activity Walker. 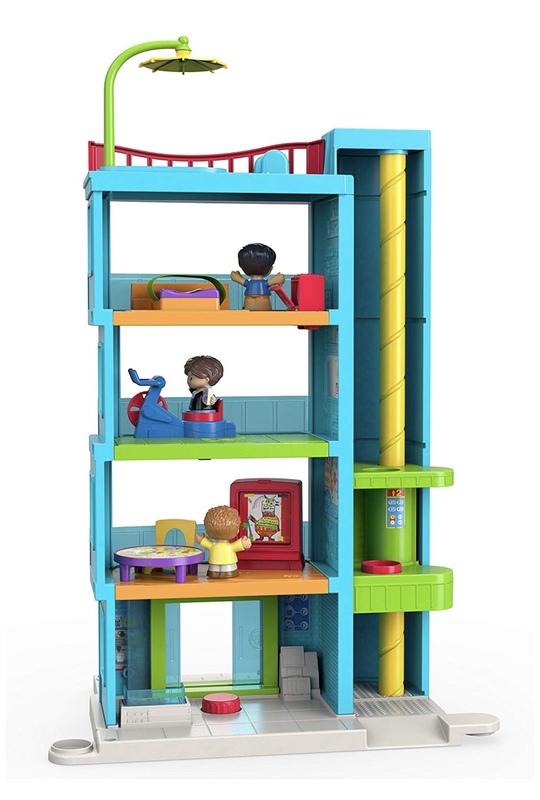 Molly had one of these, but this is revamped. I went to an event in NYC a few months ago and met with V-Tech. They said this is the first time in years they have changed this model. There's some new features and he absolutely loves the little door! The only downfall, is this is loud! Even on the lowest setting it's loud. Either I don't remember how loud toys are or I'm getting old! To go along with the V-Tech theme, we absolutely love the Laugh and Learn Around the Town table! He got this for Christmas and wasn't really interested in it until about a month ago! 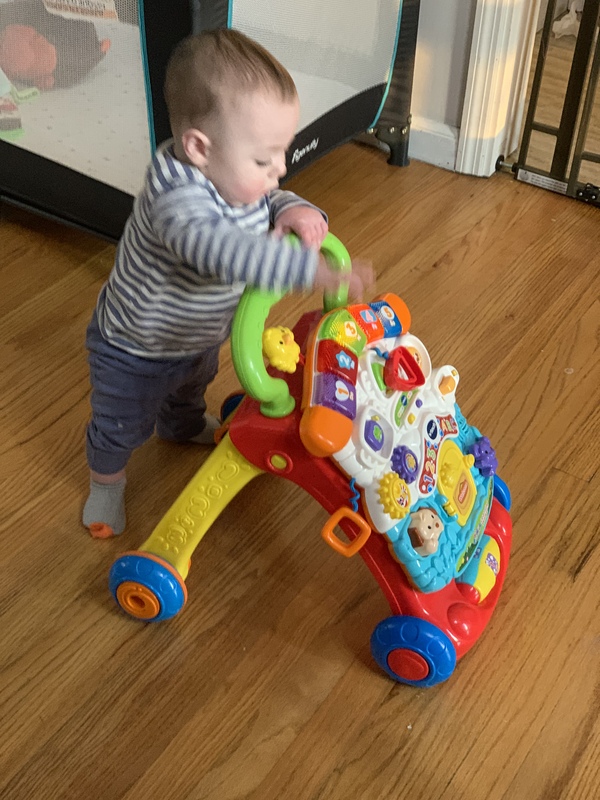 He's huge on standing right now so this is the perfect toy!! The songs are super catchy as well. "Hi. It's Puppy"!!! There are three different stages of play which makes for years of fun. I love B.Toys by Battat. 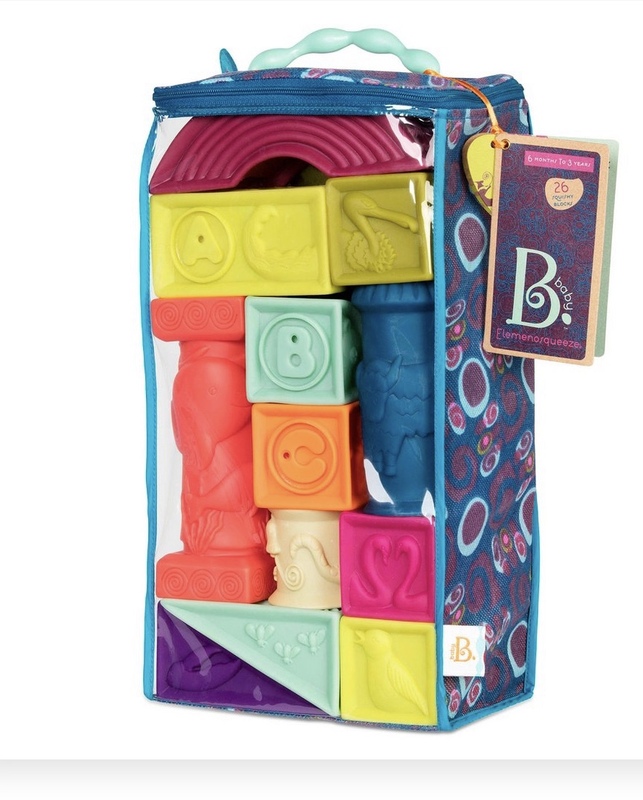 Baby B Elemenosquueze blocks is One of my favorites! These blocks are the best! They did not have these when Molly was a baby! They are really durable and super fun! We love building them up and knocking them down! Also each block is the letter of the alphabet. Took me weeks to notice! Next up is a toy that I know he's a bit too young for but he lovesssss to watch his sister play it! The Little People Friendly People Place. I love Little People. It's probably one of my all time favorites. I got this before Evan was born for $10 at Kohl's, so I picked it up and put it away! Two weeks ago we took it out and he really likes it! The Little People characters are also big enough so they aren't a choking hazard! I can't wait to purchase more!! Last, this isn't a toy but I have hard wood floors so this is a must for me! The B. 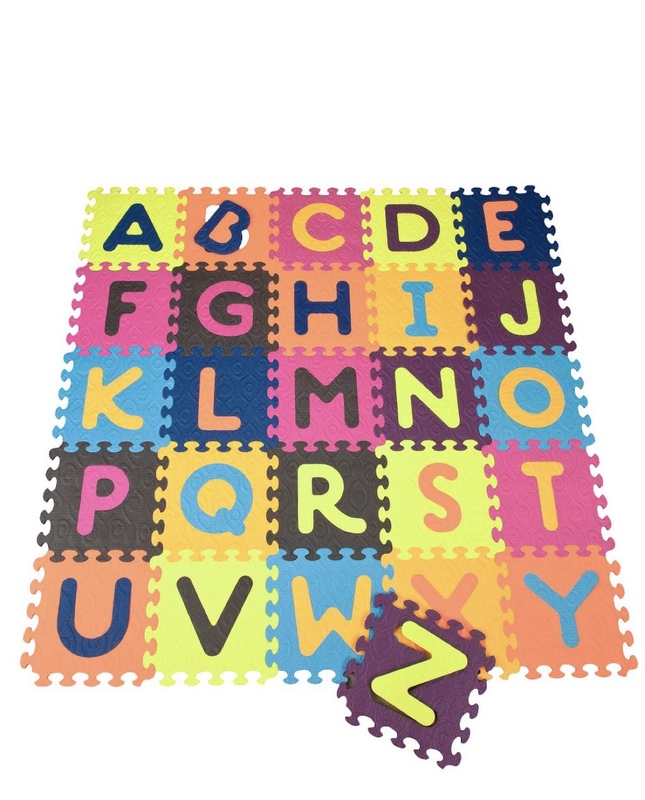 Toys Beautifloor Alphabet Tiles are soft so if he falls and bonks himself it won't hurt. Plus they are super bright and colorful!! 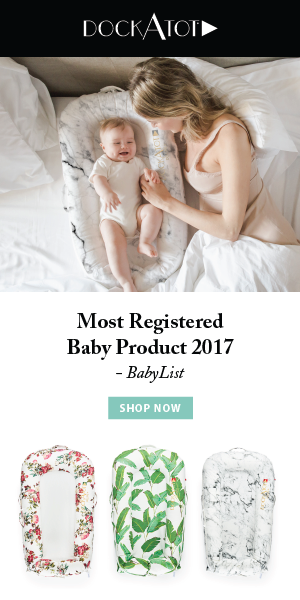 I hope this list helped everyone with some ideas for fun toys!! 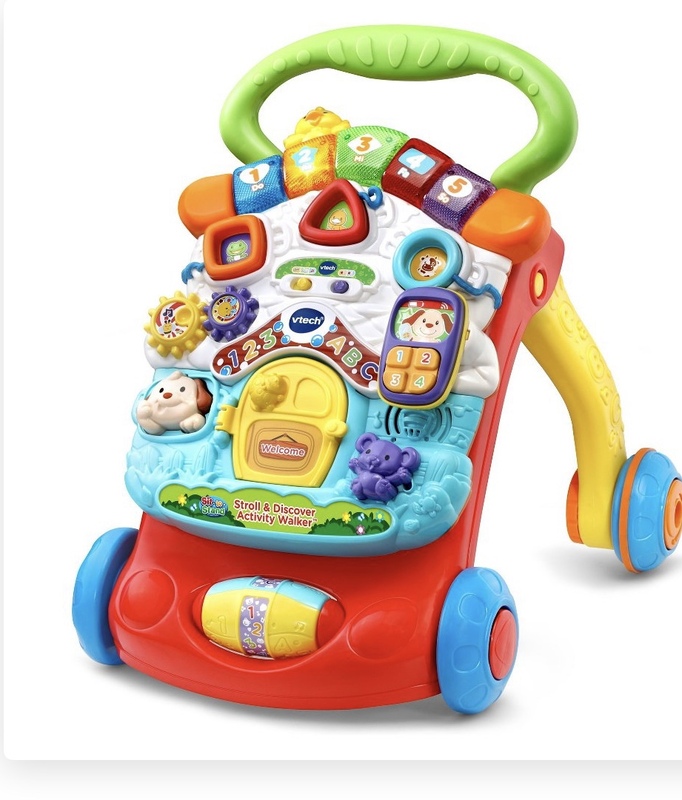 What are some of your favorite toys for baby's?